Archaeologists discover evidence for ancient ceramic manufacturing and Polynesian pottery in American Samoa. October 29, 2012	(Newswire.com) - Territorial Archaeologist of American Samoa, Dr. Joel Klenck, states a new discovery of ancient pottery in western Tutuila Island has added to archaeological knowledge regarding the distribution of ceramic manufacturing in Polynesia. 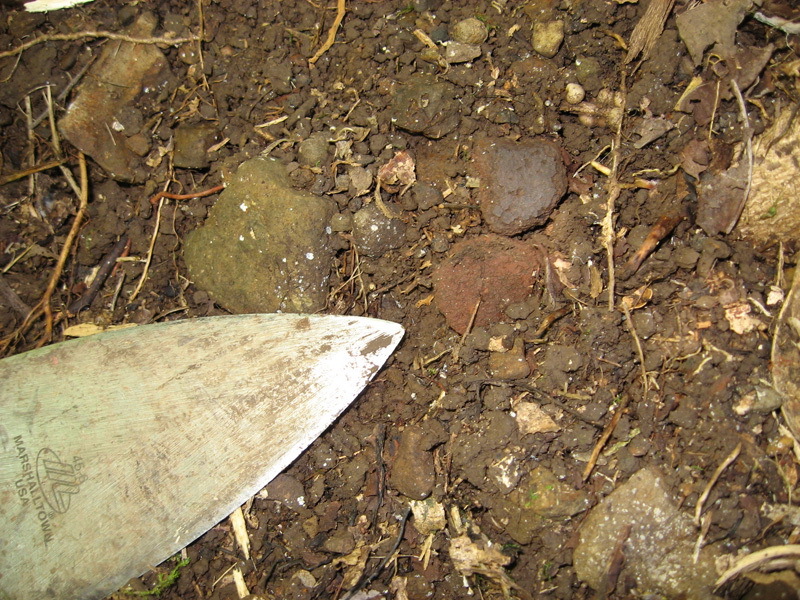 At the excavation at Fangamalo in American Samoa, archaeologists retrieved an array of artifacts including ceramic sherds at various stages of firing, adzes, basalt debitage, adze preforms, fire-cracked rocks, clays of different color, volcanic glass, small wafer-thin rocks, cinders, ash and other artifacts. Epi Suafo'a, the principal investigator of the site, remarks, "Until recently, Polynesian pottery was not discovered in western Tutuila unlike the center and eastern parts of the Island. In the last year, we have discovered ceramic material at Leone and Maloata. The amount of ceramics and range of archaeological artifacts at Fangamalo shows that the manufacture and use of pottery was not limited to central and eastern Tutuila." A series of one-meter square unit were excavated to a depth of nearly two meters and revealed two layers of features. 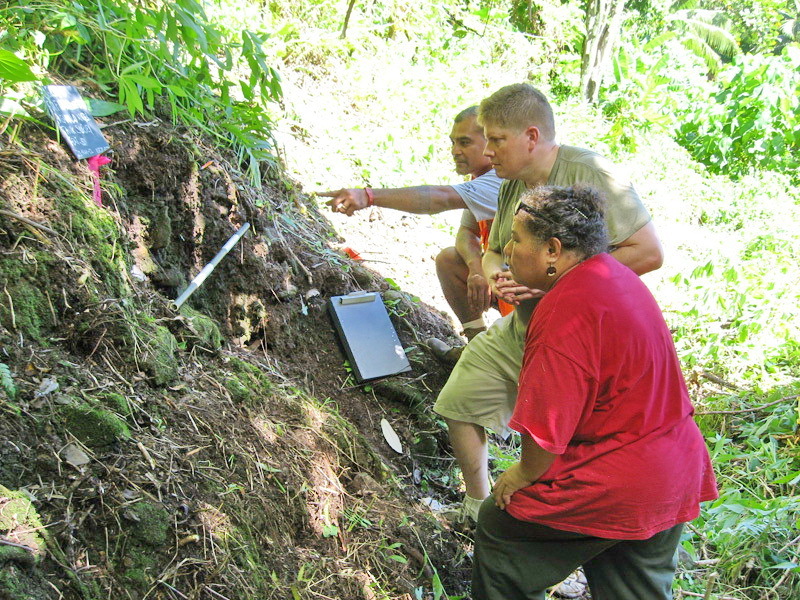 The archaeology team sponsored by the American Samoan Power Authority (ASPA) and advised by the Historic Preservation Office worked during June, 2012, to complete the excavation and deliver all artifacts to ASPA's archaeology laboratory for further analysis. The archaeology is being conducted to keep an ASPA waterline project in compliance with a federal historic preservation law known as the National Historic Preservation Act of 1966. The Act requires that all federally funded projects take historic and archaeological sites into account by recording and avoiding damage to those sites whenever possible. The American Samoa Coastal Zone Management Act of 1990 also requires that construction projects in Territory be conducted in a manner to protect historic, cultural, and archaeological sites. David Herdrich, the Director of the Historic Preservation Office, remarks that pottery manufacturing indicates craft specialization and suggests a hierarchical social organization enabling individuals to learn the technology required for this task. Herdrich notes, "The discovery at Fangamalo suggests that at one point the prehistoric inhabitants in western Tutuila had the same degree of sophistication technologically as their counterparts in the center and east of the island." 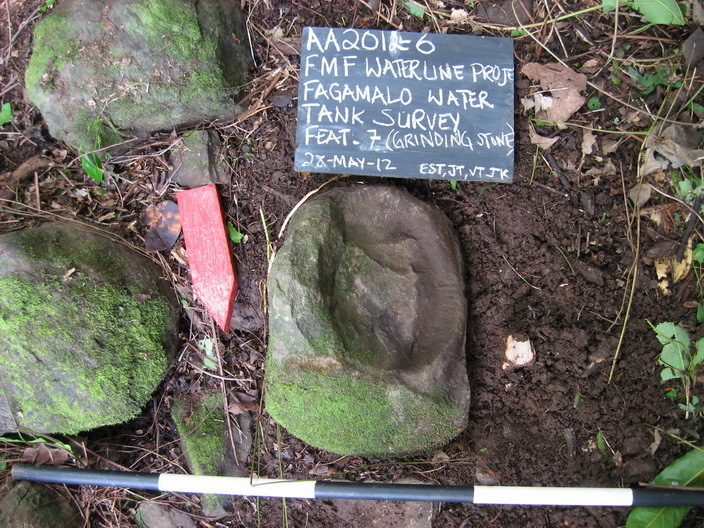 Both professional archaeologists and volunteers participated in the Fangamalo excavation. One of the archaeologists, Jeff Toloa states, "Everyone worked well with each other. Even though the excavation was difficult, it gave everyone a great feeling of pride to contribute to the knowledge of our Polynesian ancestors and the prehistory of American Samoa." 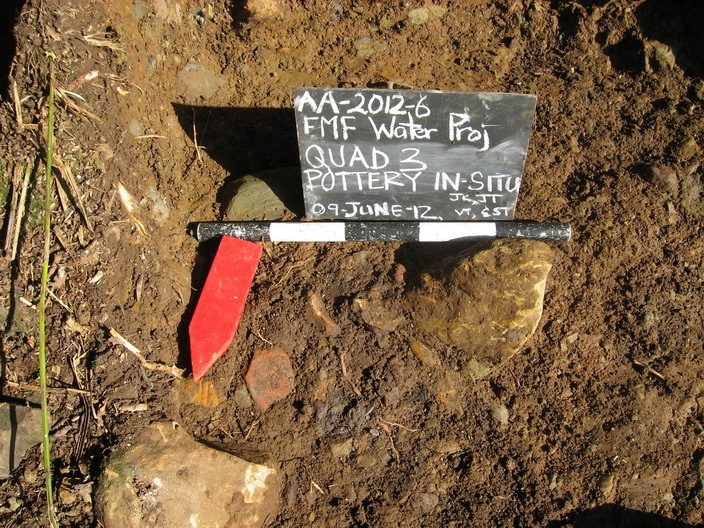 Significant research remains on the artifacts from the Fangamalo excavation. Joel Klenck remarks, "Our first priority is to obtain radiocarbon dates of the site to determine when prehistoric inhabitants occupied the area. Many archaeologists believe ancient Samoans abandoned the use of ceramics at around 300 to 600 AD (or about 1,400 to 1,700 years ago). The dating of the pottery from the Fangamalo site will yield more insight into when ancient Samoans used pottery and when this material was abandoned." Archaeologist nominates World War II military observation posts at Poloa, a village in American Samoa, for the U.S. National Register of Historic Places. Harvard University scholar researches the history of Polynesia, at the turn of the twentieth century, in American Samoa. World War II Structures at Masefau in American Samoa Nominated for U.S. National Register of Historic Places. Military fortifications at Masefau in American Samoa, from World War II, are nominated for the U.S. National Register of Historic Places.